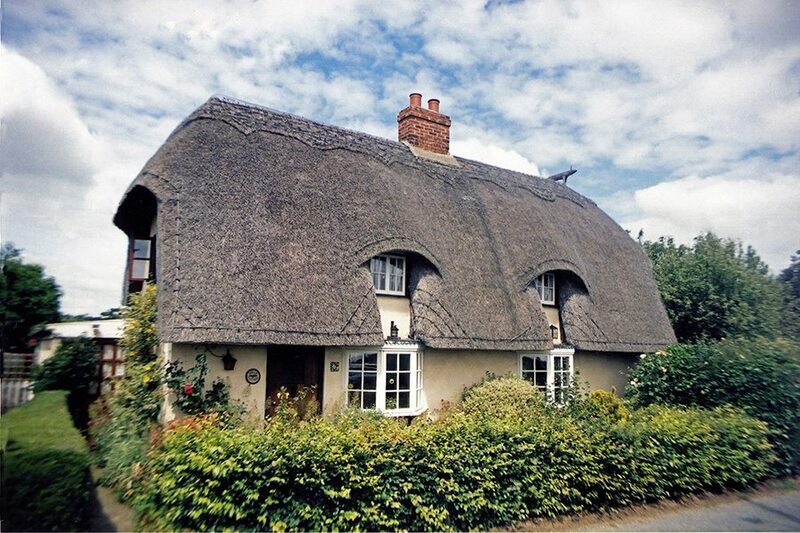 Nearly a tenth of all Britain’s thatch lies in this historic county and in common with all it’s surrounding neighbours, the Eastern style of thatching holds sway. 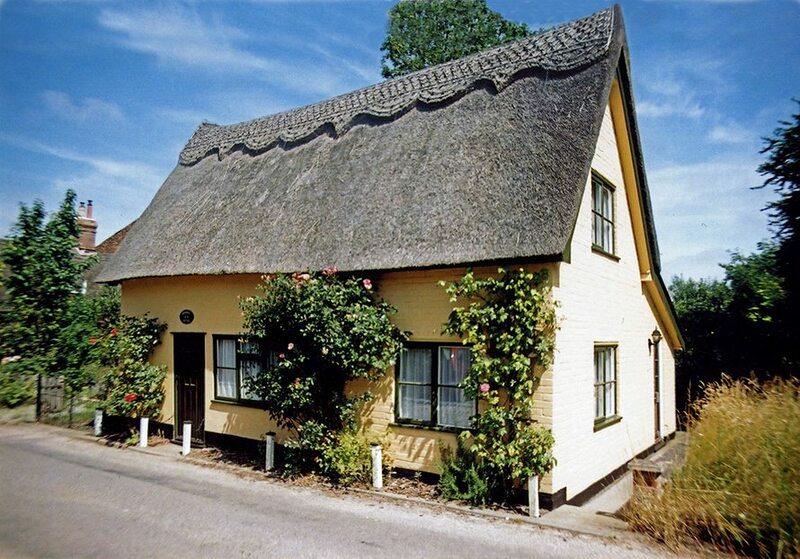 Most thatch today is found in the south and the west of Suffolk. 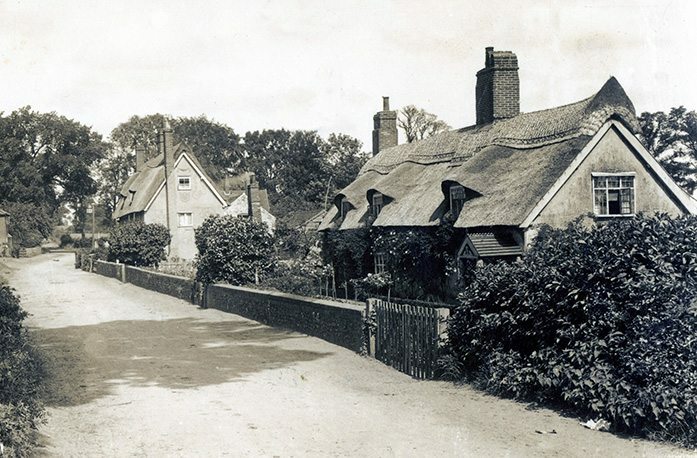 The eastern coastal districts succumbing more than a little, to the lure of imported pantiles; in times past. 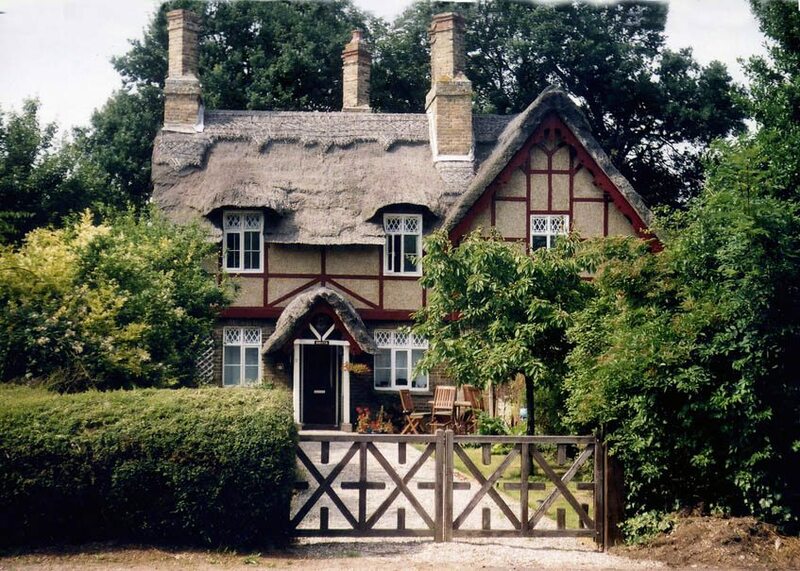 Long straw was the main material used, over most of the county; and many examples remain. Some combed wheat reed has recently made an appearance, often being finished in a long straw fashion; with the roof edges being decorated with spars. 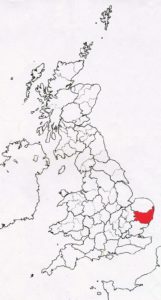 Or Broaches as they are called, over much of East Anglia. 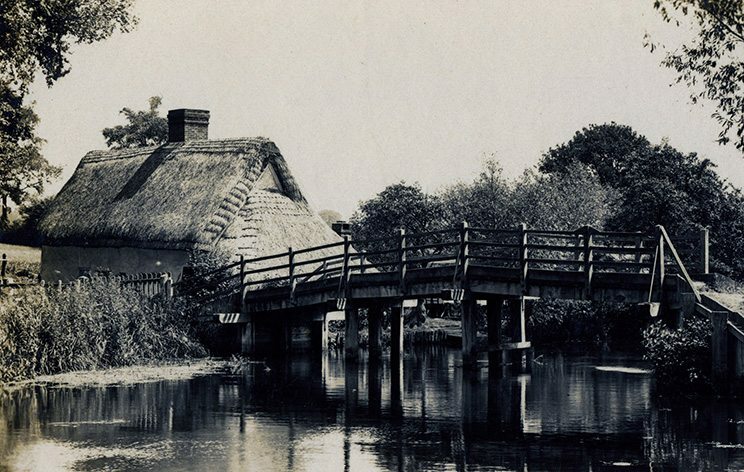 In the north east of Suffolk, near the reed beds of the Broads, a good deal of water reed has always been used. Up near the Broads… Misty thatch, early in the morning, at Wrentham. This attractive building started life as the local Guildhall, six centuries ago. Old and new. 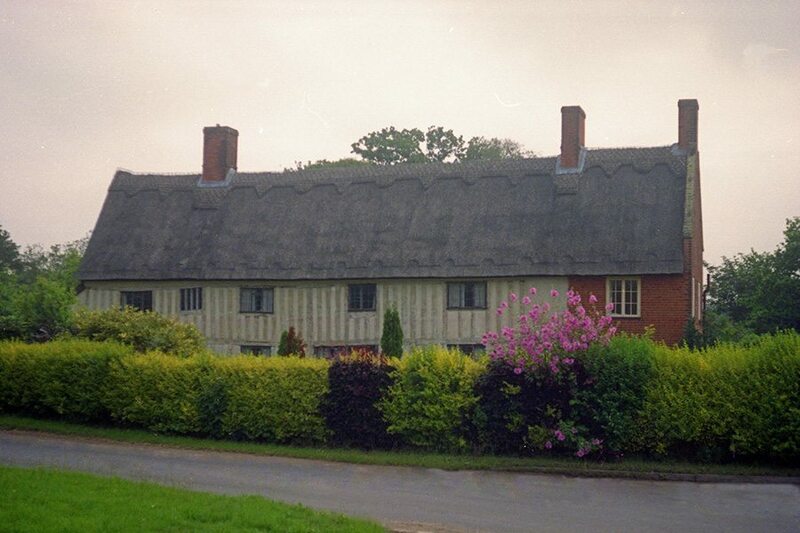 a modern roof, on a seventeenth century cottage, at Cowlinge. 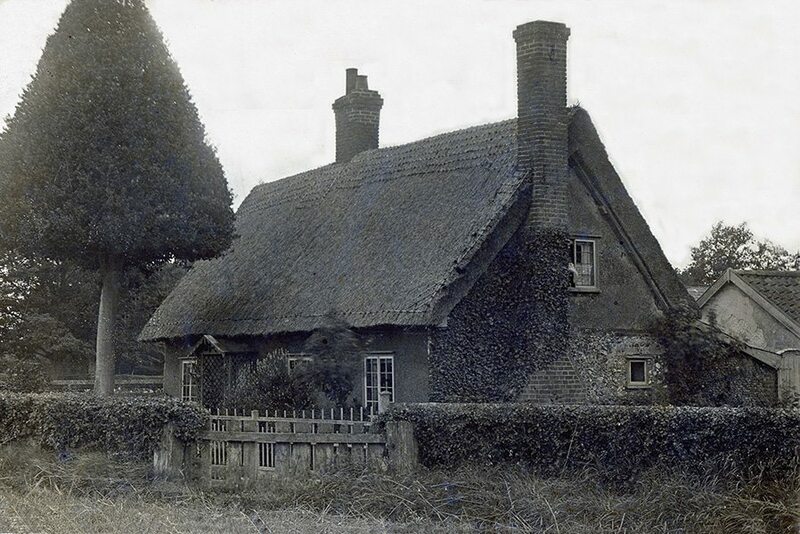 And century old thatch, below, at Barningham. 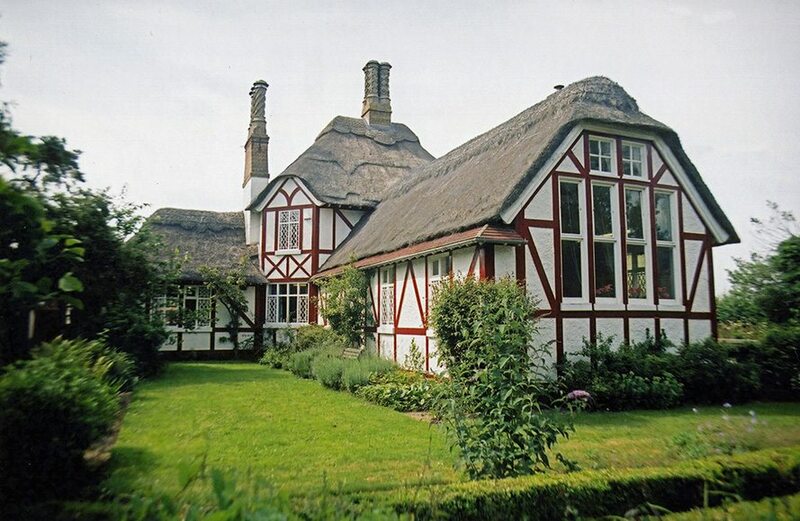 Rolled gables… Not a feature often seen, in this county. On a late Tudor cottage, in the busy market town of Eye. 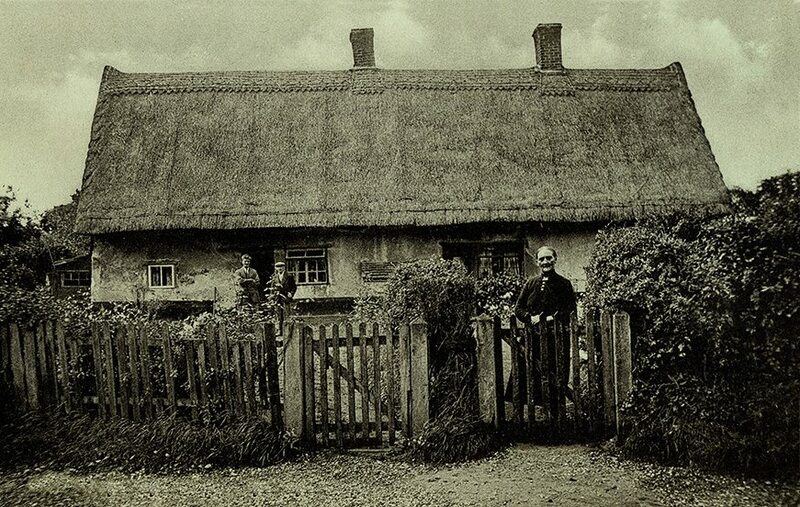 More old Suffolk thatch… The Edwardian, left hand image, from Capel St Mary, shows a complete repair, over this Mansard roof. 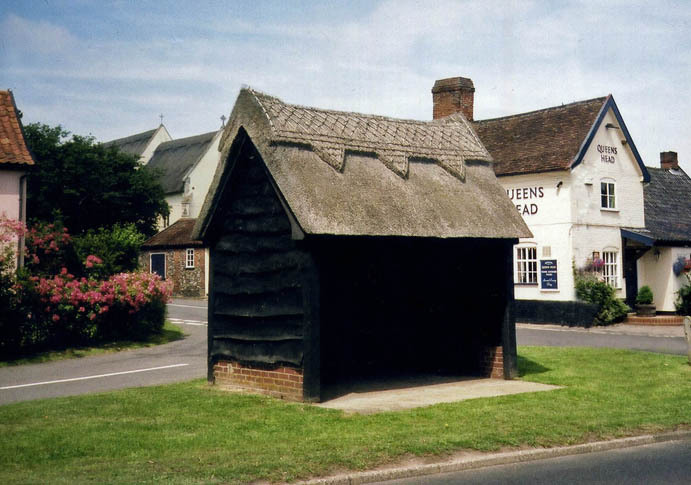 An economic form of thatching, commonly seen for decades after this period. 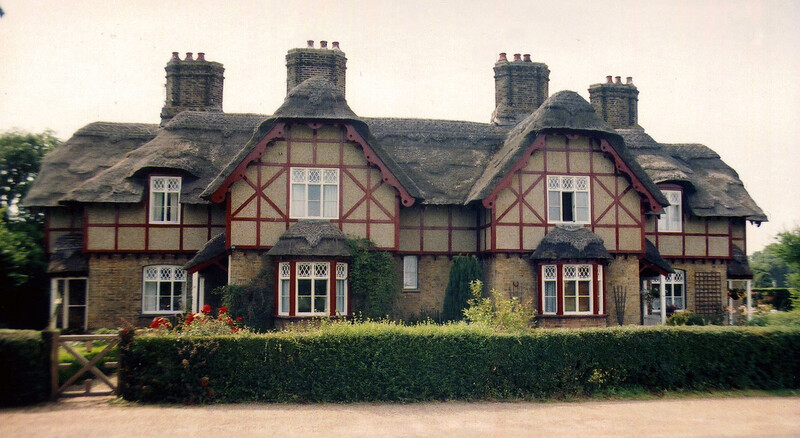 Standard coatwork, covers the roof on the right, at Brantham. 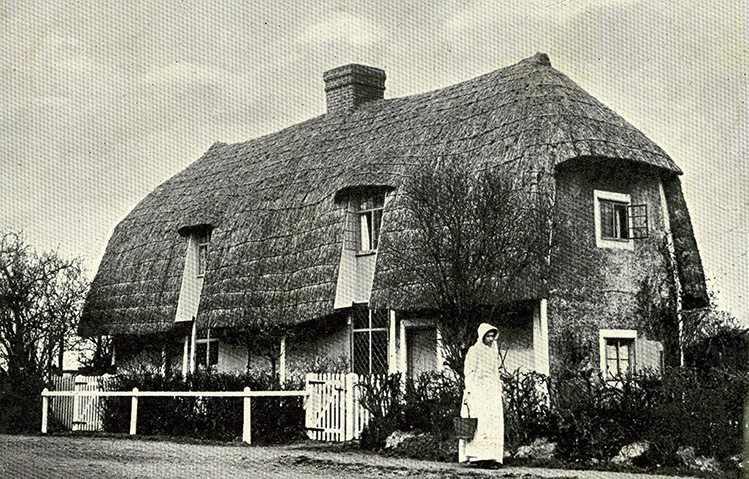 This image, from around 1930, has captured a long straw thatch, topped with a fashionable ‘saw tooth’ ornamental ridge. 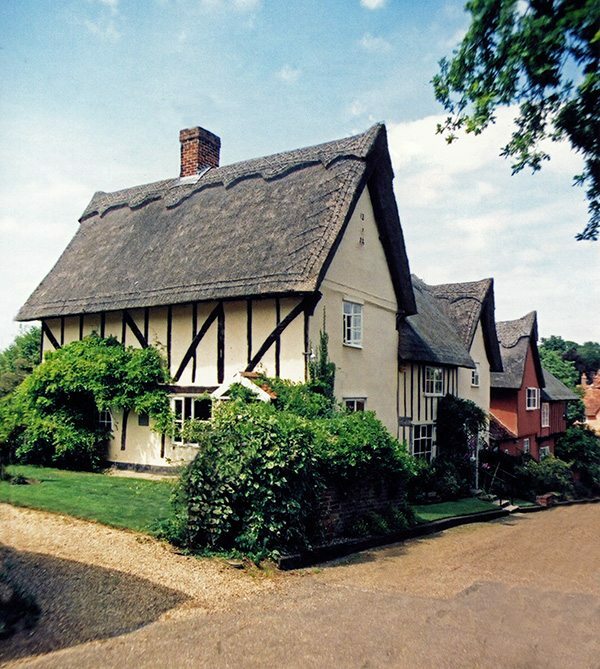 New Suffolk thatch… On some very old houses, at Kersey; dating from the fifteenth century. 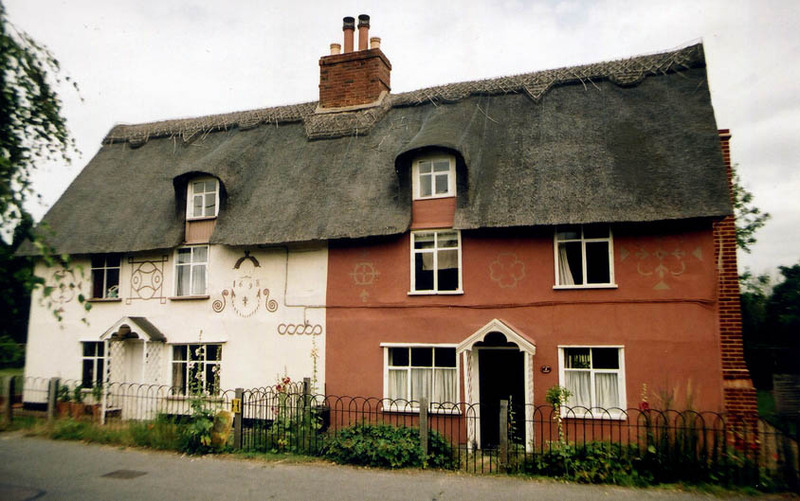 This large village has many good examples of the thatchers art, in both long straw and water reed. 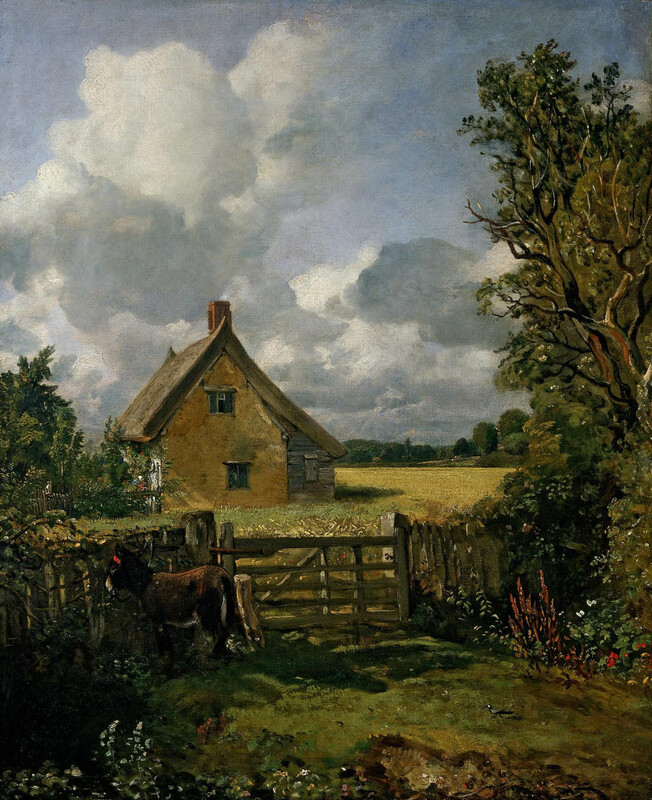 Masterpiece… ‘A Cottage in a Cornfield’. As depicted by the local master, John Constable. As would be expected, he has captured the sharp, Eastern style gable ends perfectly. Copyright & thanks to Victoria and Albert Museum. 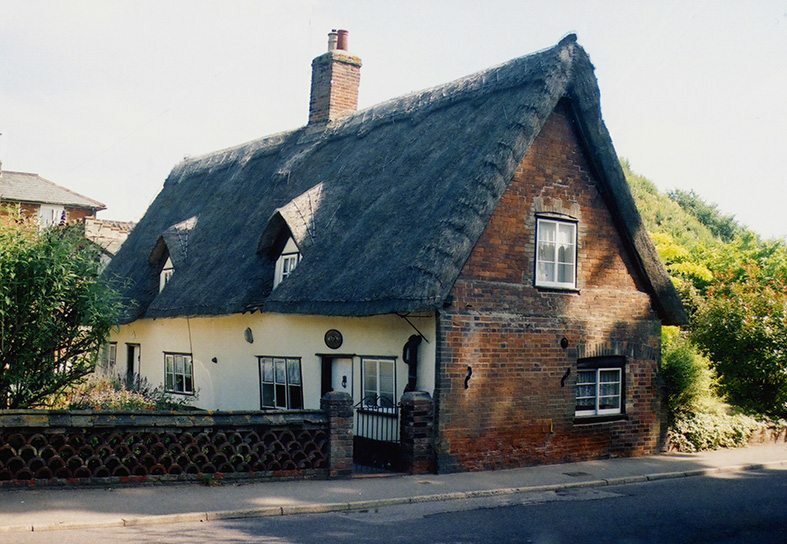 ‘Bridge Cottage’ features in two of the master’s works.